Is acetaminophen still the pain reliever you should trust? 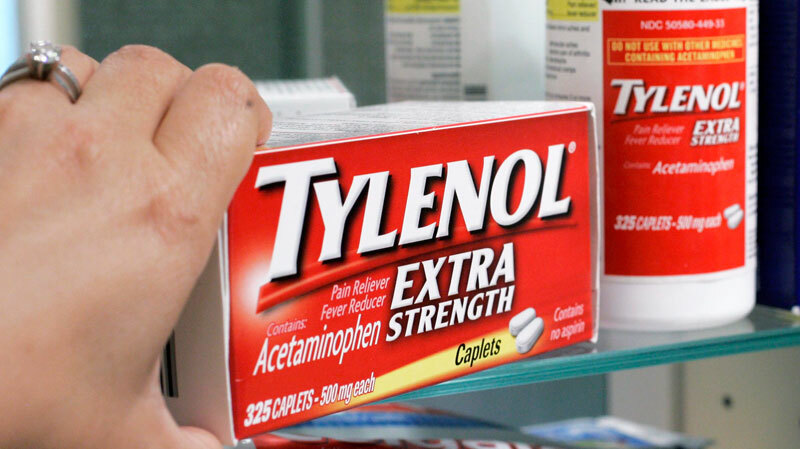 Recently ProPublica and This American Life ( TAL ) released the results of an investigation into acetaminophen, the active ingredient in Tylenol. TAL devoted an entire episode to the issue, and ProPublica has published several stories on acetaminophen’s toxicity, how it can cause harm, and how it is regulated. This is somewhat of an update to a prior post. What do Tylenol, Excedrin Extra Strength, Nyquil Cold & Flu, Percocet, Vicodin, and Anacin Aspirin Free have in common? They all contain the drug acetaminophen. Taking multiple acetaminophen-containing drugs can be risky: while acetaminophen is safe when used at appropriate doses, at excessive doses, it is highly toxic to the liver. Take enough, and you’ll almost certainly end up hospitalized with liver failure. Acetaminophen poisonings, whether intentional or not, are a considerable public health issue. In the USA, poisonings from this drug alone result in 56,000 emergency room visits, 26,000 hospitalizations, and 458 deaths per year. [PDF] This makes acetaminophen responsible for more overdoses, and overdose deaths [PDF], than any other pharmaceutical product. The change is designed to help encourage appropriate acetaminophen use and reduce the risk of accidental overdose. Time to say goodbye to Vicodin, Percocet, and Tylenol #3?